Sorting through all the choices you have in residential real estate Milton can be daunting if you don’t have the professionals at isellmilton.ca working on your side. Mahamed Khan and Faris Khan have all the credentials and testimonials that make their credibility in the residential real estate Milton industry top notch. They want you to get the house you deserve and the one that you’ll be able to afford and sustain. That’s why they have come up with a few helpful ideas that you should take a look at before you start sorting through real estate listings. They’re the real estate agents that are on your side and they want to make sure you understand the full picture before you sign on the dotted line. For instance, they like to stress you need to consider the environment and not just the homes for sale. 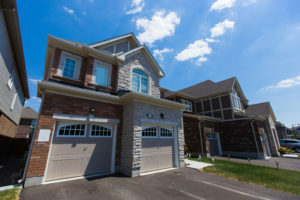 There’s lots to choose from when it comes to residential real estate Milton and you need to consider other factors beyond the house like the neighborhood’s proximity to your job and the amenities offered in it. Getting the right real estate agents makes a difference because these are the folks that can help you sort through these important issues.